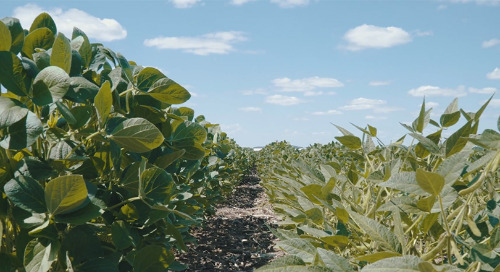 Whether you’re a veteran soybean grower or relatively new to the crop, an inoculant is one of the key ingredients to your success. It provides beneficial soil bacteria (rhizobia) that encourages the development of nitrogen-fixing nodules on soybean roots, which leads to healthier plants and higher yields. All inoculants are living organisms and available in liquid, peat or granular formats. 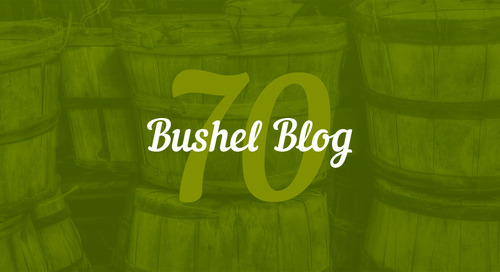 This provides growers with choice and flexibility, but it can also lead to confusion. 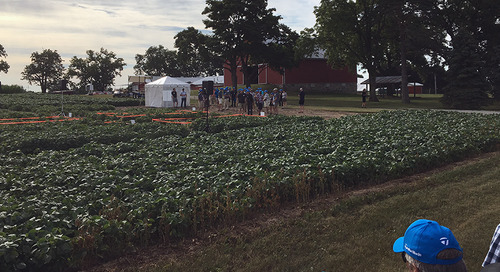 Syngenta agronomist Doug Fotheringham fields a lot of questions from growers asking which is the best formulation to use. His answer? “Really nothing is better than the other. They all work, and they all work very well,” he says, adding that growers shouldn’t get caught up in figuring out which one is best. 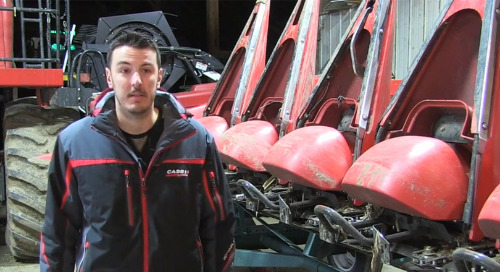 A better approach is to make your choice based on the equipment you have on the farm to deliver the inoculant. Fotheringham notes there are only slight differences between the three formulations. 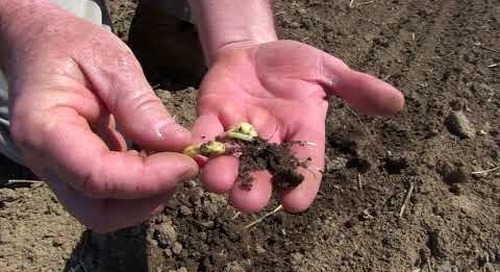 When liquid is seed-applied, it is available right at the crown and recognized quickly by the plant. This allows nodulation to start a little earlier. One downfall is that liquid isn’t quite as robust as the other formulations in harsher conditions. Peat is also seed-applied, but its properties make it a little more robust than liquid. Ease of application is one drawback – it can be messier and a little more cumbersome to handle. In addition, if rates aren’t quite right, clumping and bridging can result. Granular is considered the ‘Cadillac’ formulation due to its robustness. 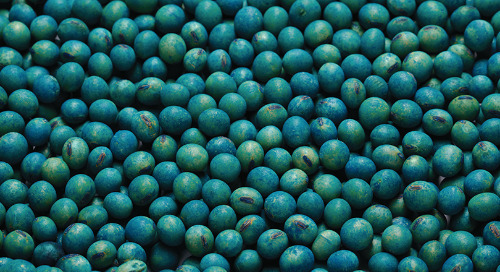 Each little prill is a clay-based product with the rhizobia built-in, providing its own feeding source. 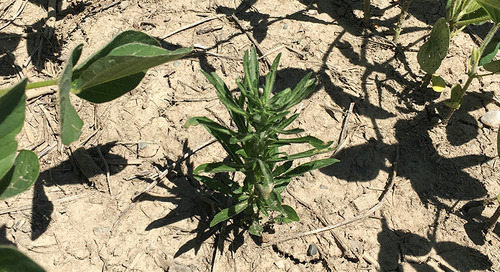 “That's a benefit because when we're planting into adverse conditions, that prill can feed off of itself for a little bit,” explains Fotheringham. The downside of granular when comparing to liquid or peat is related to handling – its large bags simply make it bulkier to deal with. 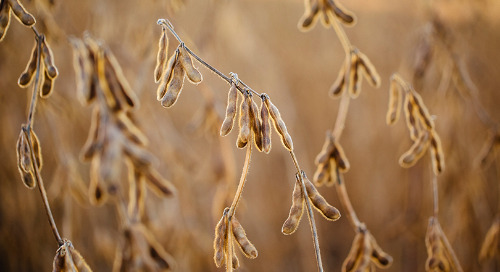 The bottom line is that it doesn’t matter what you use, just make sure to support your soybeans with some form of inoculant. 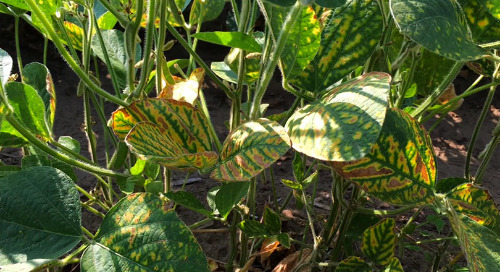 One thing Fotheringham does advise is using two sources of inoculant – especially on virgin or newer soybean ground. Fotheringham points out that even if you end up with perfect environmental conditions, you'll have a nice area of nodulation right at that crown where the plant starts its growth. Then when those lateral roots move out, they'll find and pick up that granular inoculant. There are plenty of other application options that can achieve the same positive results. 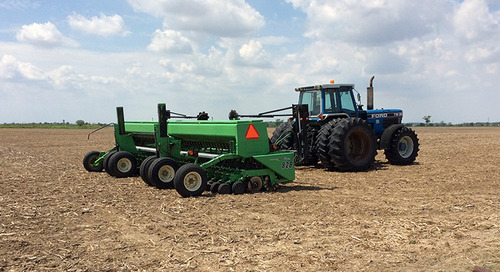 For example, for growers who have a liquid kit, either on their planter or air seeder, they can easily deliver a 1.5x or 2x rate of liquid inoculant in furrow. Or, they can have 1x rate on the seed, with a 1x rate dribbled in the furrow. 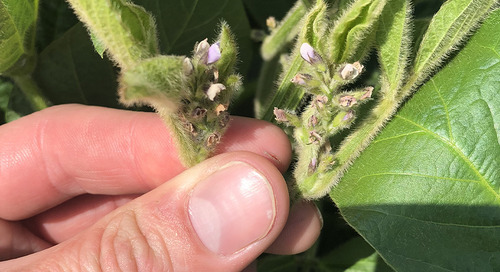 If you’ve been growing soybeans for a number of years, you may be tempted to cut corners and skip inoculant application, but Fotheringham warns against it. Fotheringham explains that in addition to environmental conditions, field variability can also affect rhizobia survivability. For anyone not convinced of the value of inoculants, Fotheringham suggests an easy experiment. “Shut off your granular tank for 50 feet at seeding and watch that area in season. You will see a dramatic difference in growth between the plants that have it and the plants that don't. 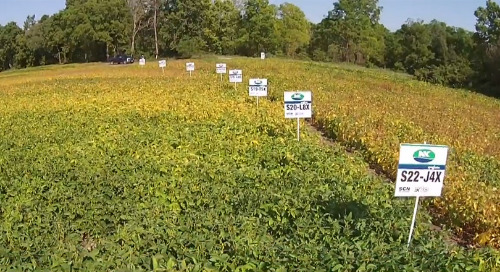 Even on the field that has a history of soybeans, there will be a difference in heights. There will be difference in colour and that, in turn, will result in a difference in yield for sure,” he says. Fotheringham encourages growers to talk to their local agronomist or rep to figure out how much inoculant you actually need to apply. Historically, the general rule of thumb was eight to 10 pounds, but application rates are really dependent on row spacing.